The Melville was built in 1890 for a trawler owner and previous owners have told us that The Melville was said to be the name of his trawler. We’ve not proved this but found that Alexander Howe had a trawler built at Uphams in 1895 called ‘Our Boys’. 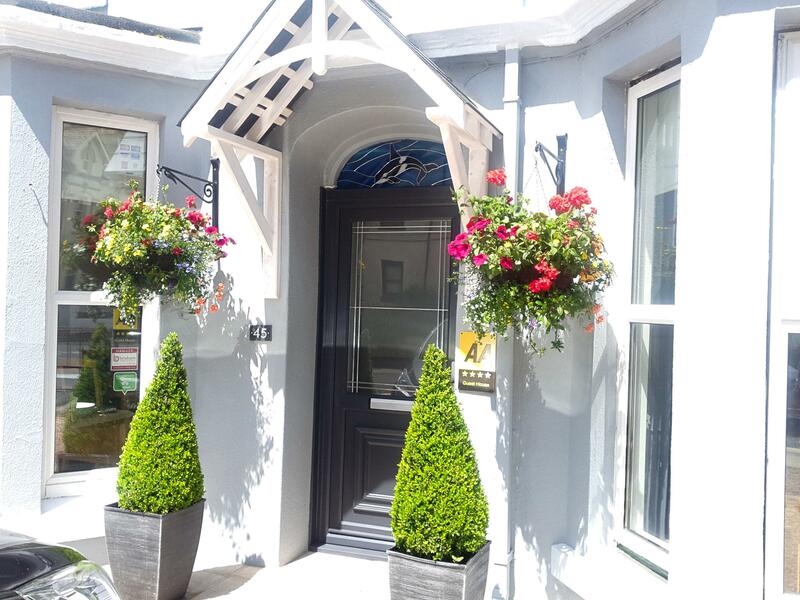 Since then this interesting Victorian townhouse has been home to many Brixham residents before being transformed decades ago into a hotel and B&B. Until recently The Melville Guest House was called ‘Melville Hotel’ and until very recently we were found on TripAdvisor under Melville Hotel (now The Melville Guest House), where we are in the top five Brixham B&Bs. Please feel free to look at the reviews. We are sure you will see how clean, comfortable and welcoming other guests have found The Melville and why we are one of the top Brixham B&Bs and how we offer comparable facilities to many Brixham Hotels. Day room: Guests can use the day room from noon to late evening. If you wish to have a takeaway meal, we can supply plates and cutlery. Wifi: Wifi is available throughout The Melville. Ironing facilities: Ironing facilities are available to guests on request. Breakfast: Vegetarian or gluten-free diets can be catered for with advance notice. Accommodation: All rooms are ensuite. All rooms have a minimum standard 4ft 6″ double bed (or there are rooms with kingsize/superkingsize beds) with TV, hairdryer, alarm clock, tea and coffee making facilities, towels and complimentary toiletries. Most rooms have comfortable seating areas and some also have minifridges.